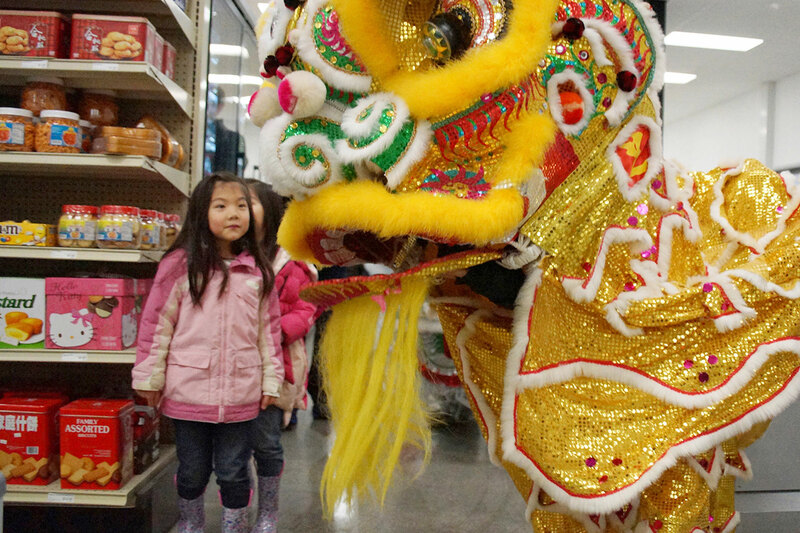 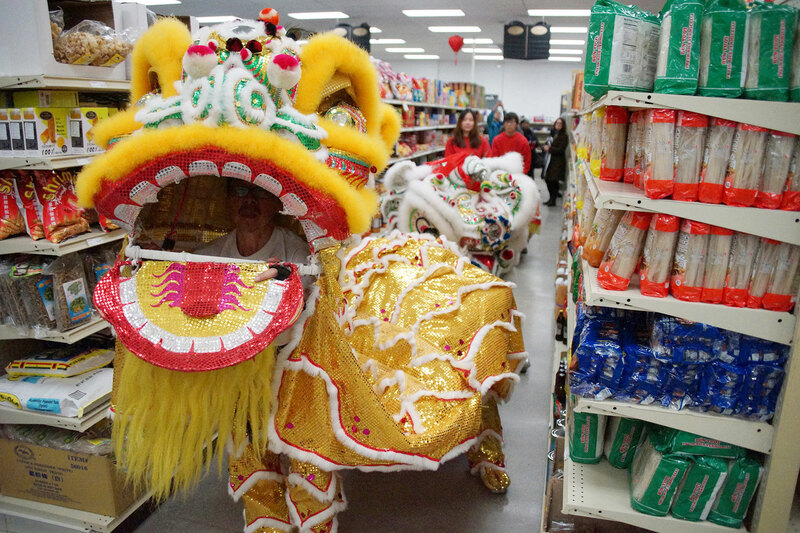 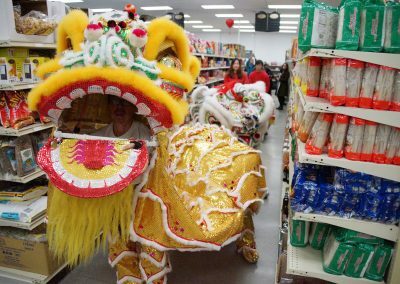 The grand opening of Mo’s Food Market 中華超市 China Supermarket kicked off on April 13 with a ribbon cutting ceremony and a traditional lion dance. 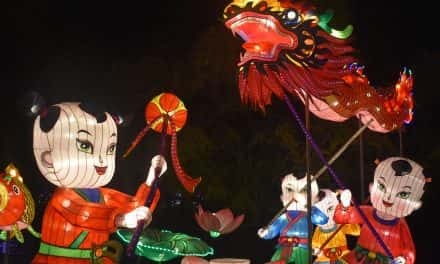 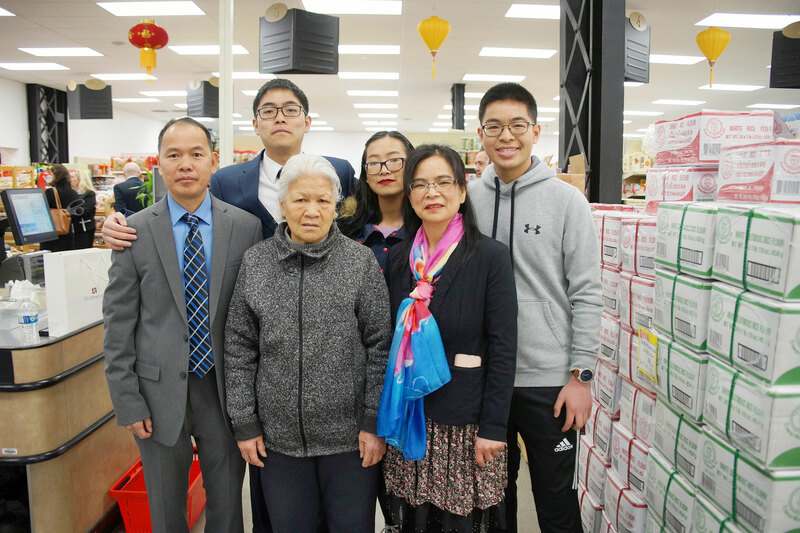 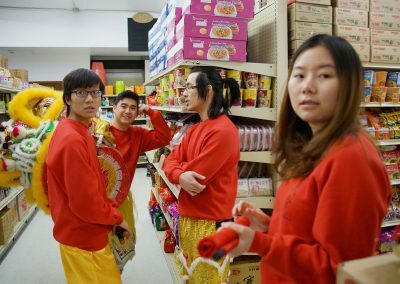 Wǔshī 舞狮 brings good luck and fortune in Chinese culture, and the owners hope that their new Asian store will help continue that economic transformation to the area. 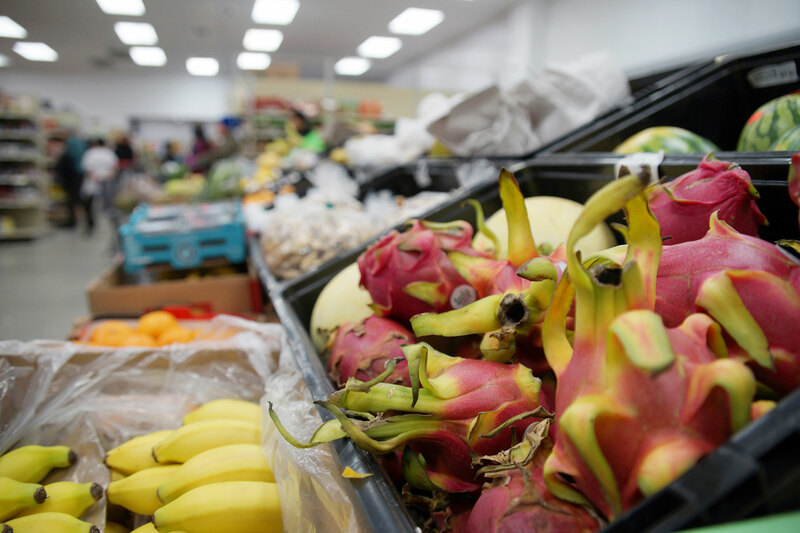 Located in the former MATA Community Media building at 2404 W. Clybourn Street, Mo’s Food Market brings a much needed fresh food location to the Near West Side of Milwaukee. 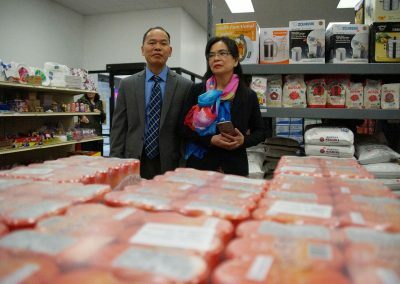 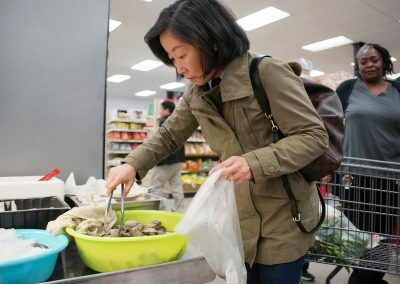 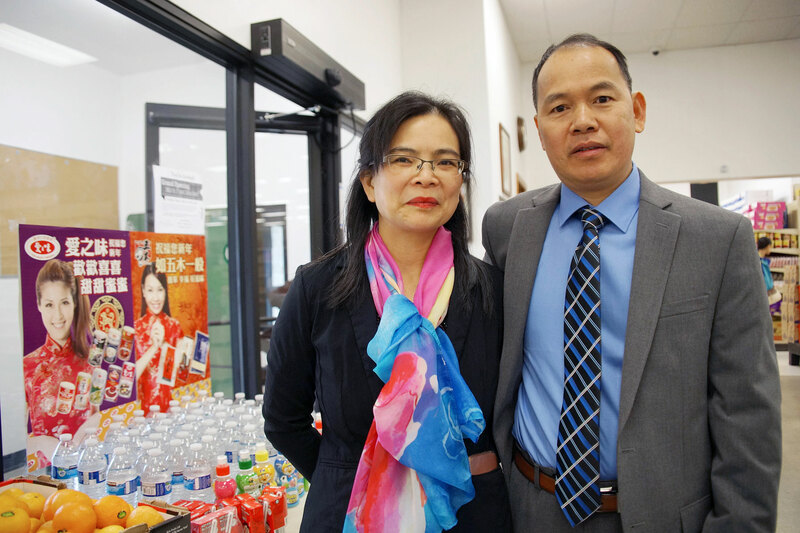 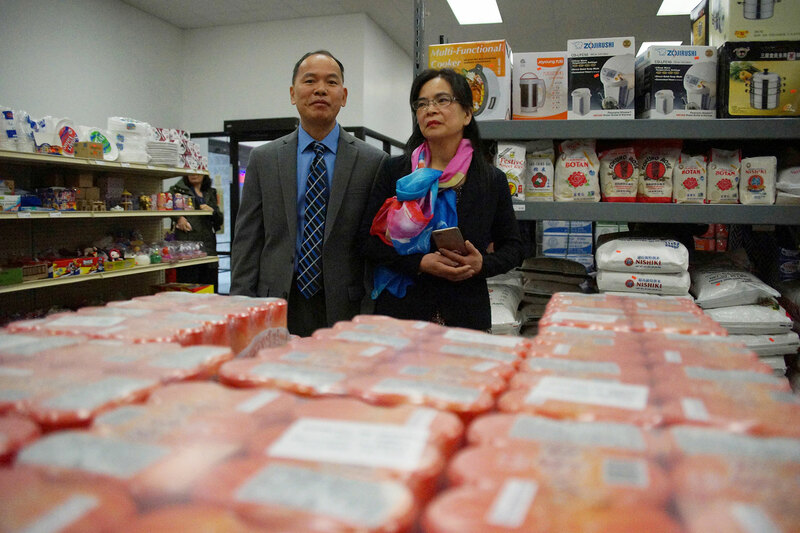 Qing and May Mo purchased the building in September 2016 to convert into a grocery store. 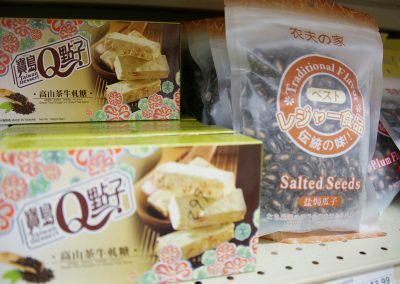 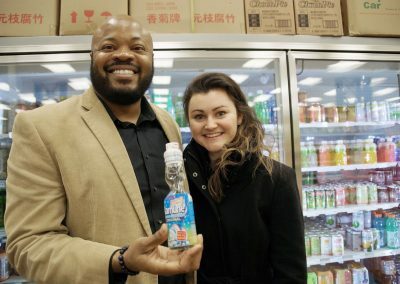 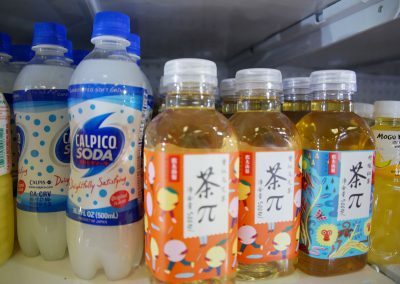 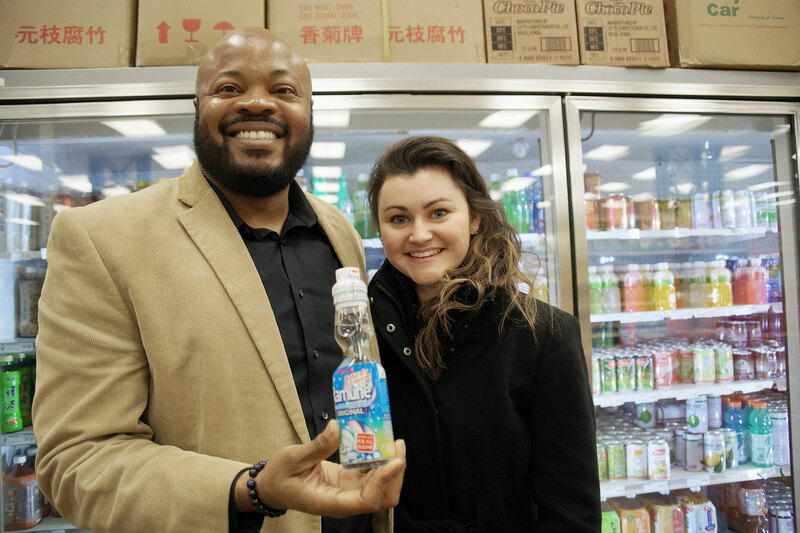 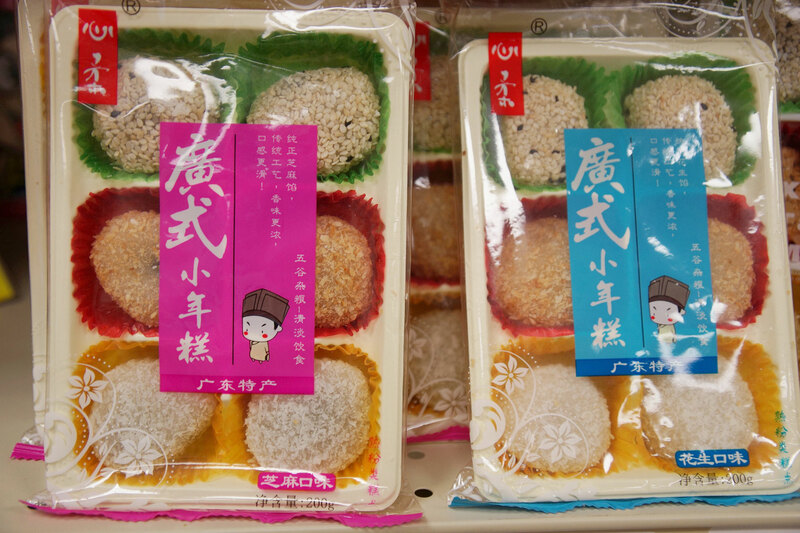 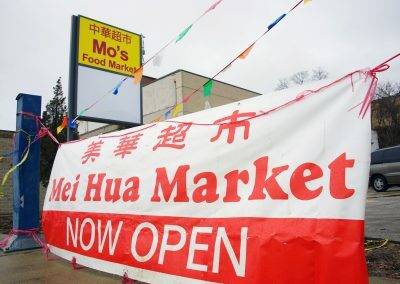 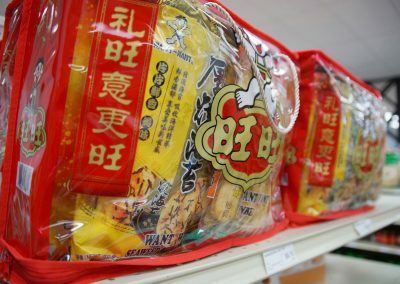 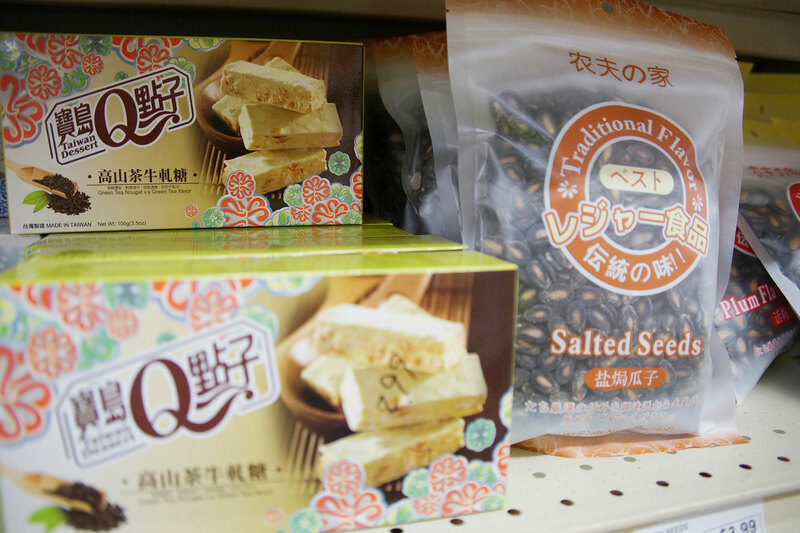 Mo has worked with the owners of Meihua Supermarket 美華超市 since it opened almost a decade ago. 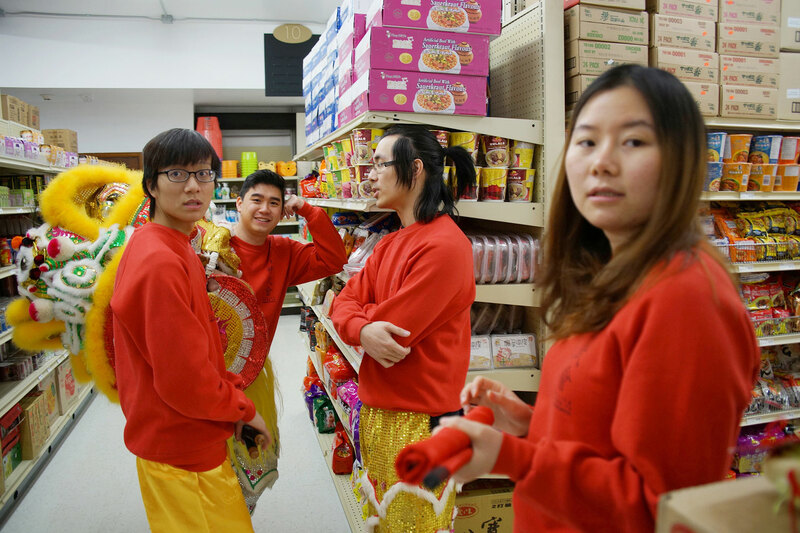 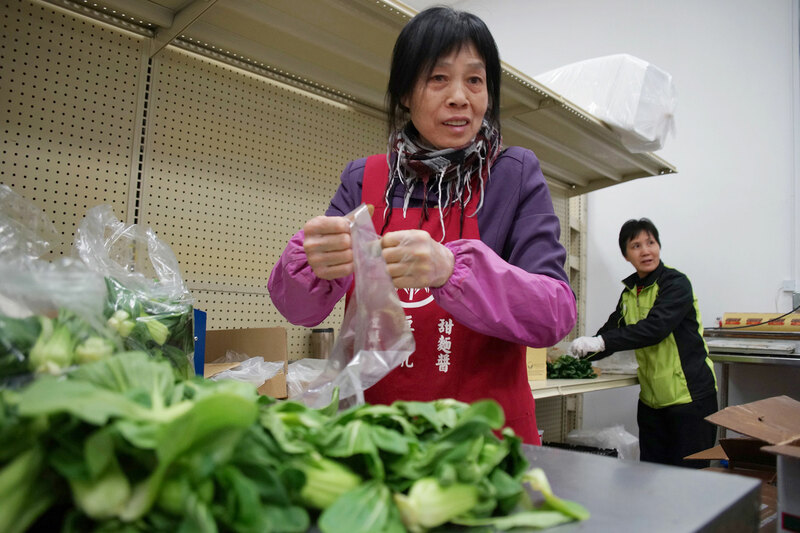 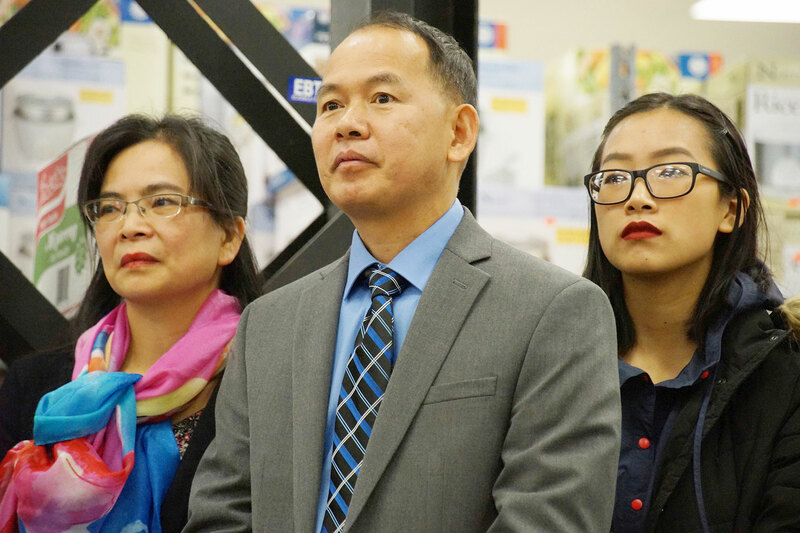 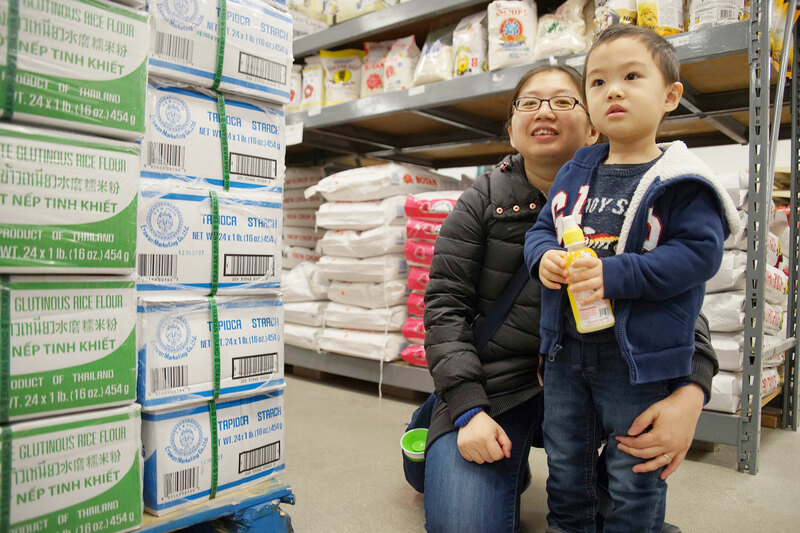 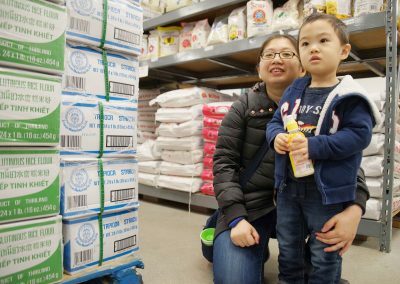 May and her husband Qing settled in Chicago after moving from Guangzhou, but were drawn to Milwaukee to raise their family and start a business. 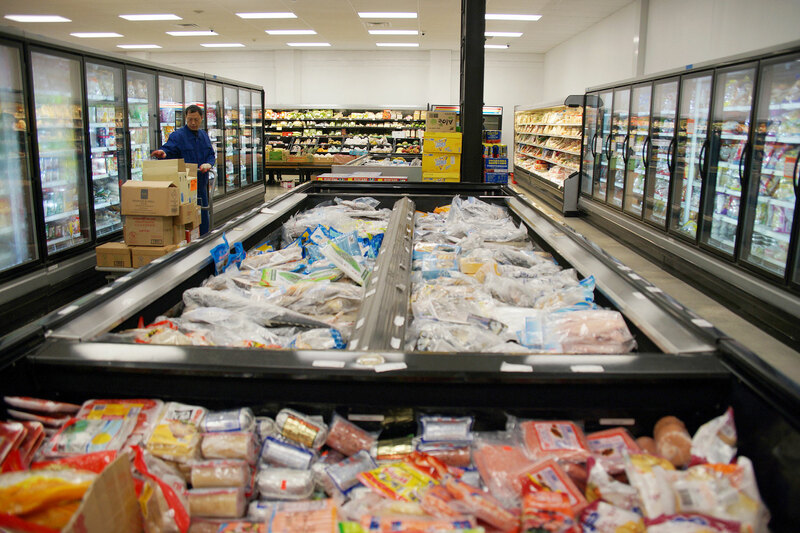 The cold winters, however, were an adjustment after coming from a hot southern city. 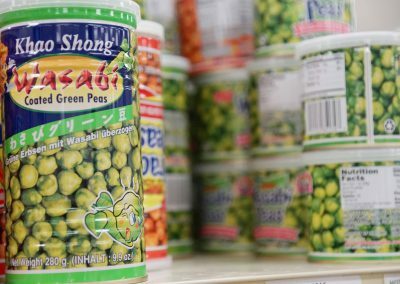 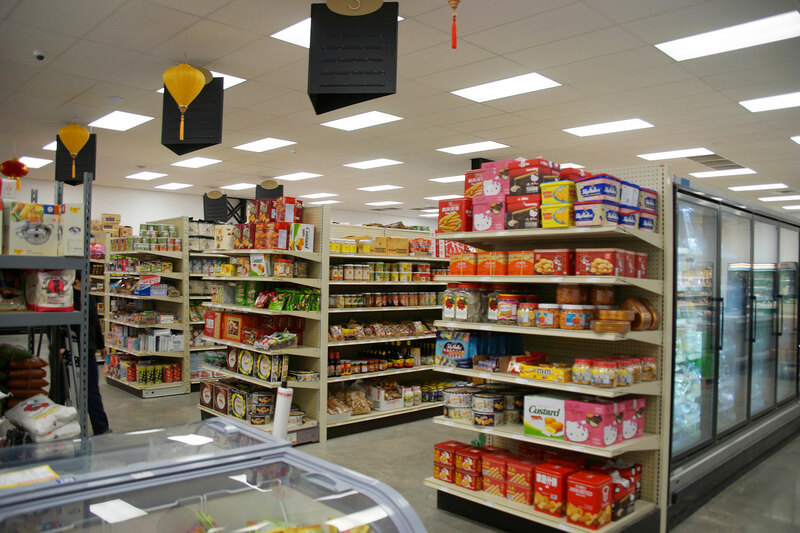 Mo’s provides a variety of fresh food options, from specialty Asian foods to a large produce selection. 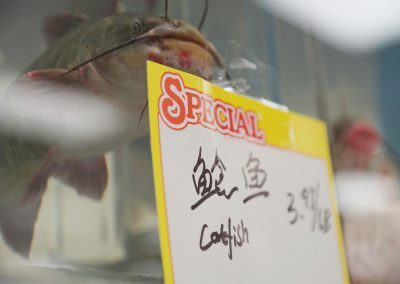 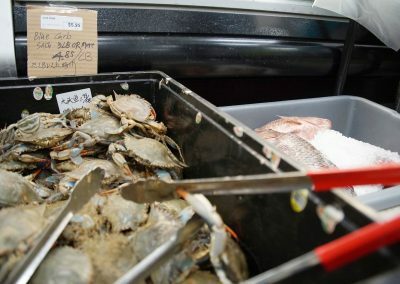 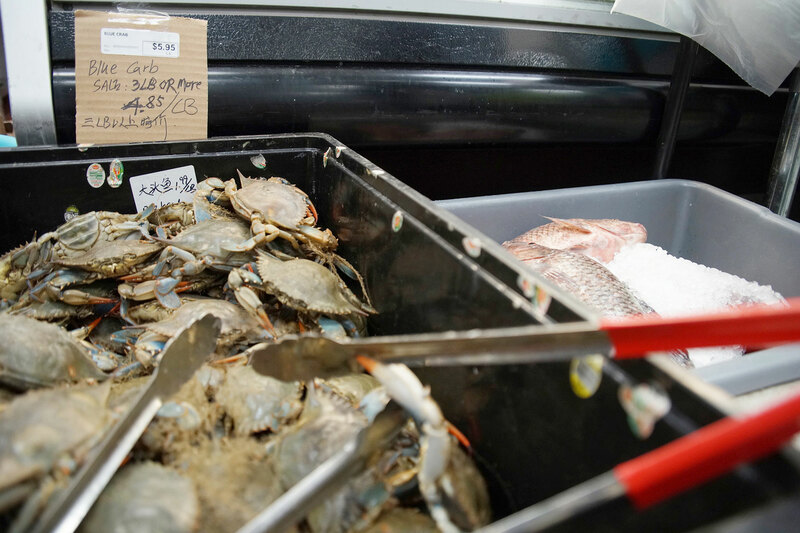 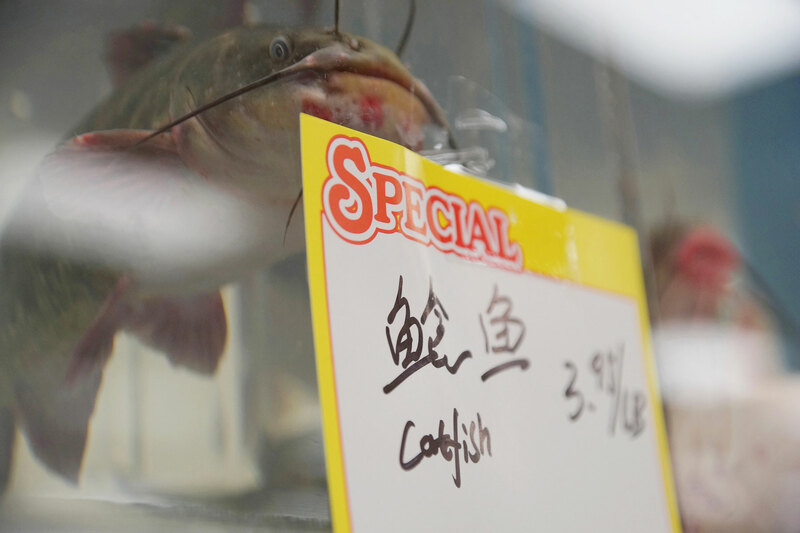 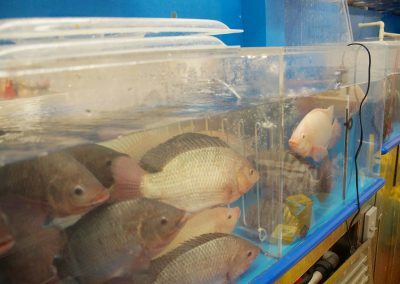 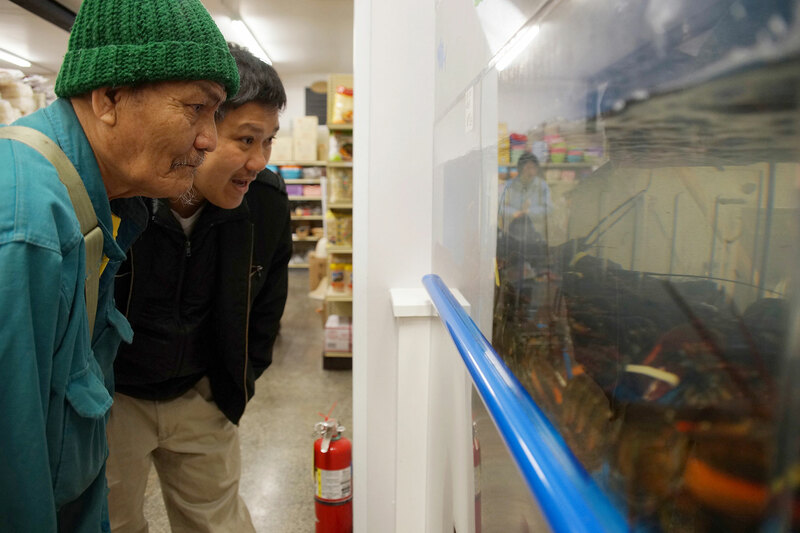 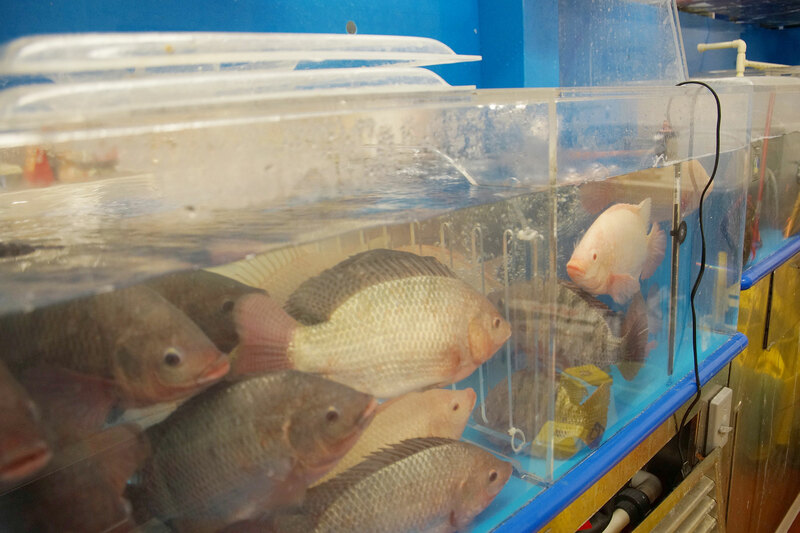 Typical of a Chinese grocery store, huge water tanks are stocked with live seafood, including lobsters, crabs, and catfish. 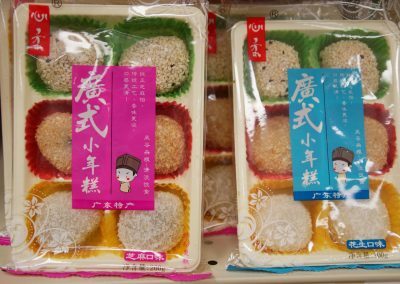 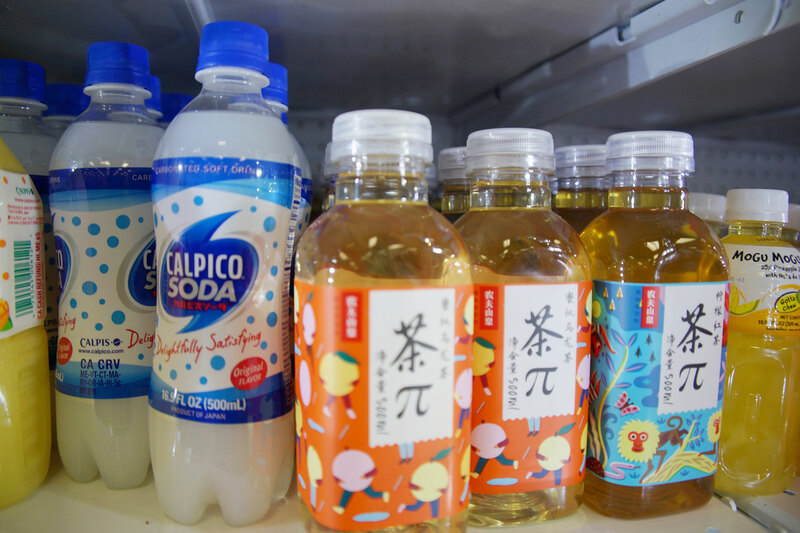 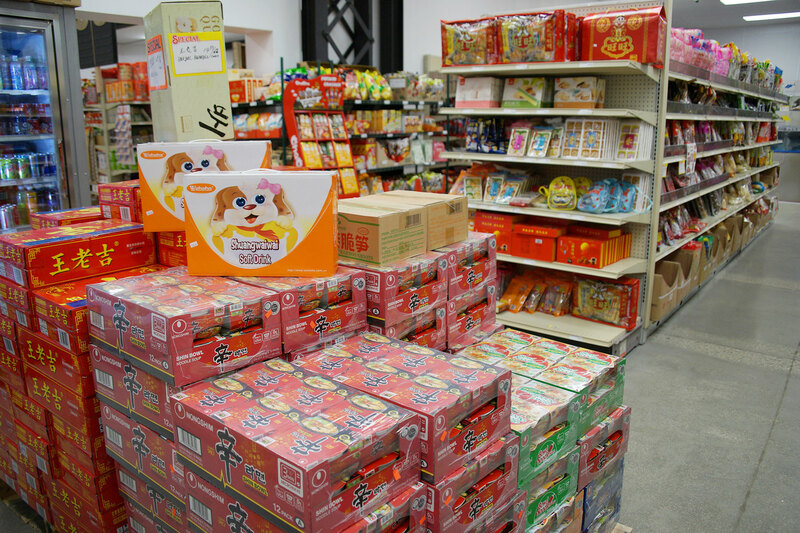 In addition, unique home goods and kitchenware can be found from rice cookers to chopsticks. 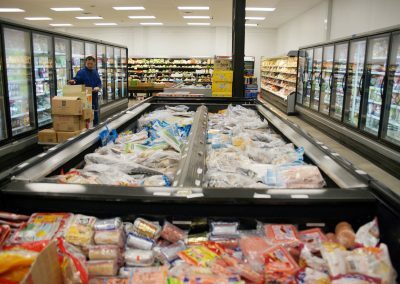 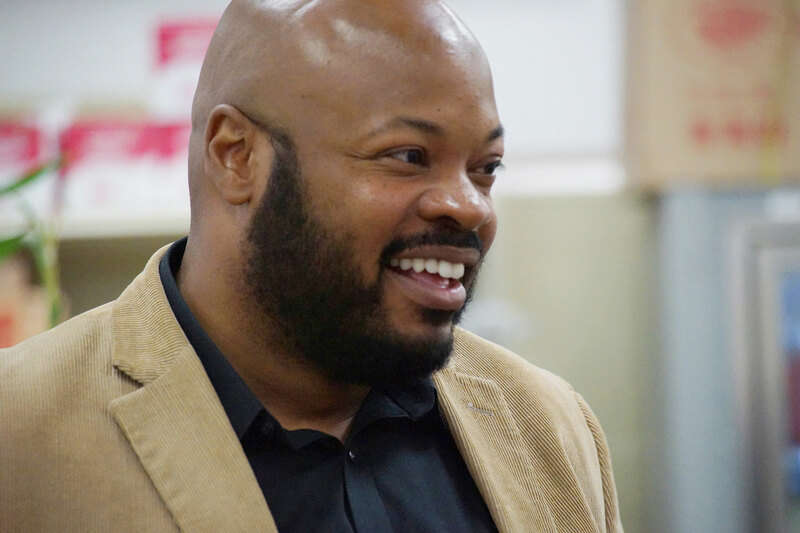 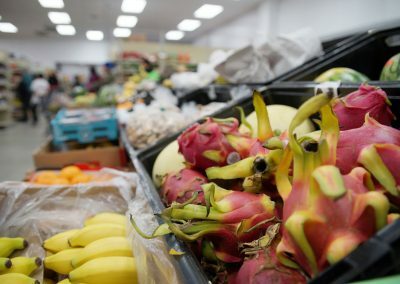 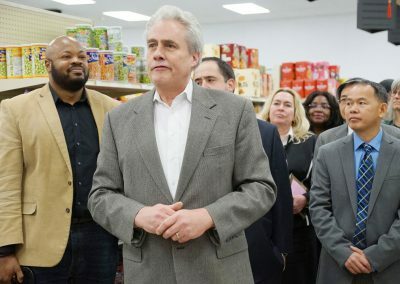 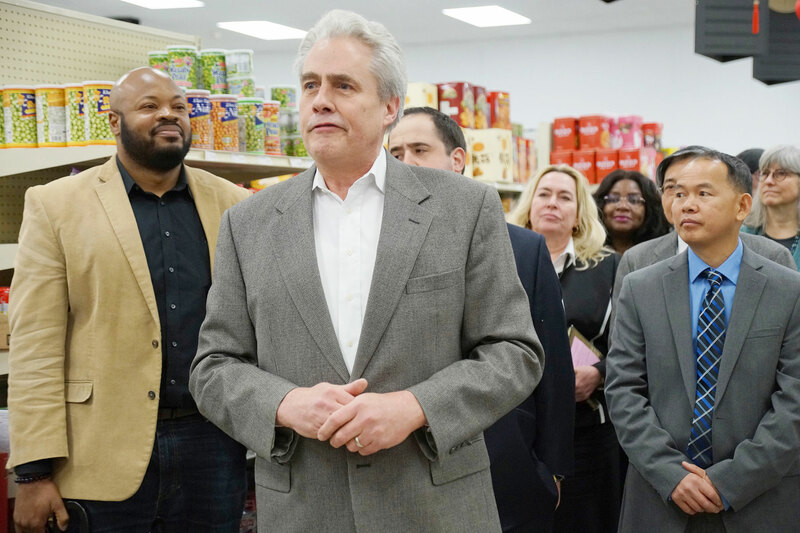 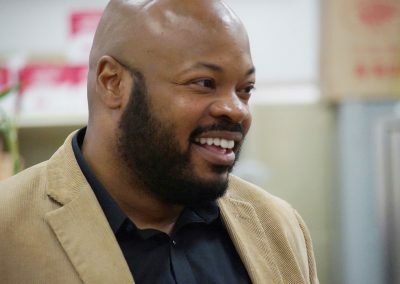 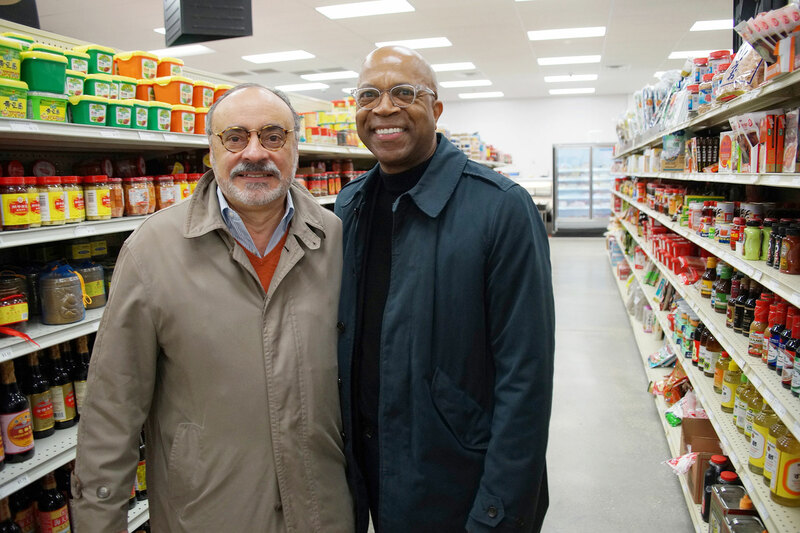 Many neighborhoods within Milwaukee’s west and north sides are food deserts, where residents lack access to a grocery store stocked with fresh and healthy food choices. 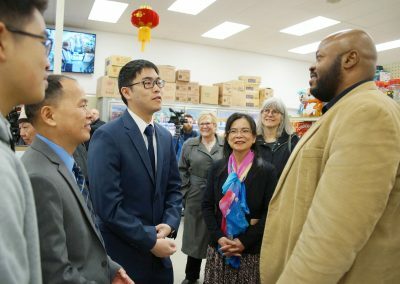 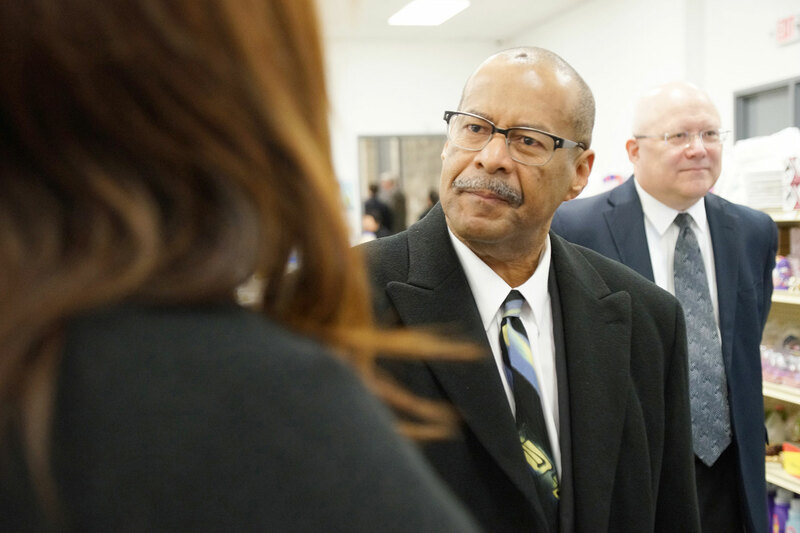 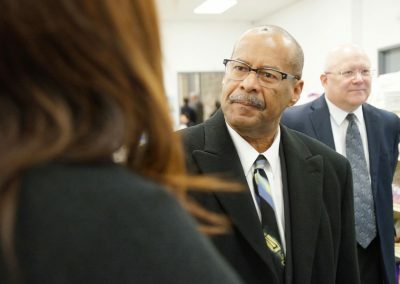 It has been the goal of the Near West Side Partners to bring these options to the tens of thousands of families living in the area. 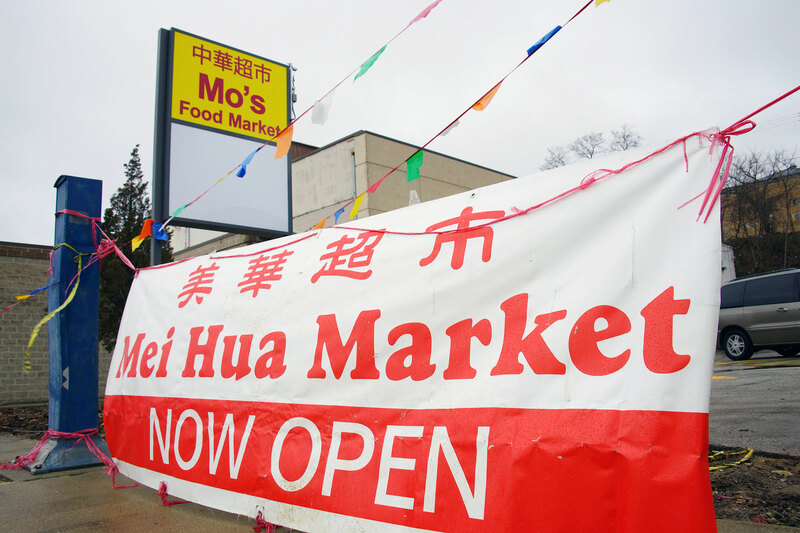 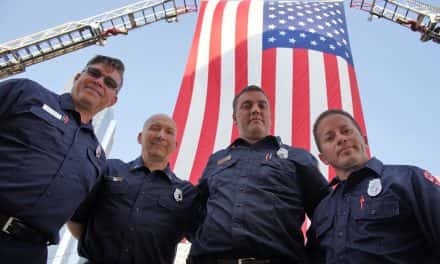 Mo’s is an example of those efforts taking root. 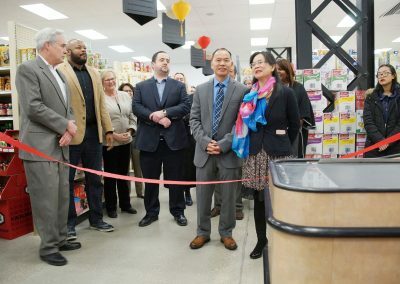 Mo’s Food Market builds on the momentum of Sendik’s Fresh2Go, which opened last summer on the Marquette University campus. 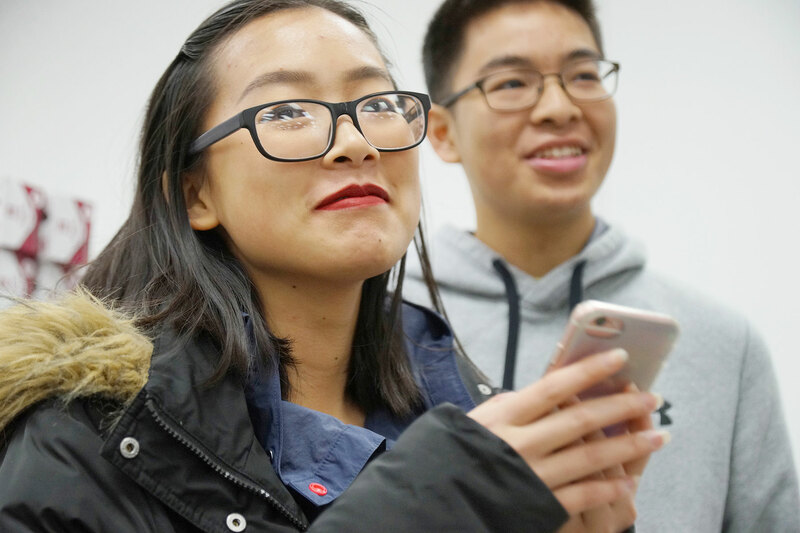 Colleges in the area have seen a steady influx of students from China, and Chinese speaking regions. 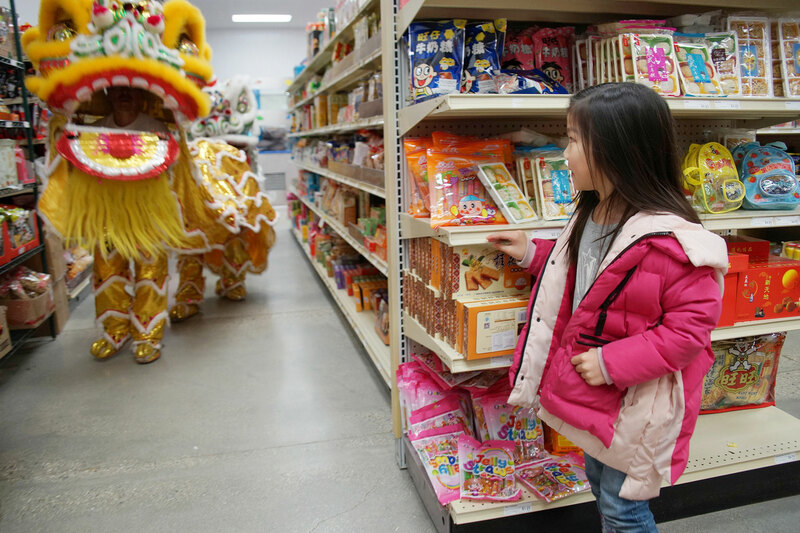 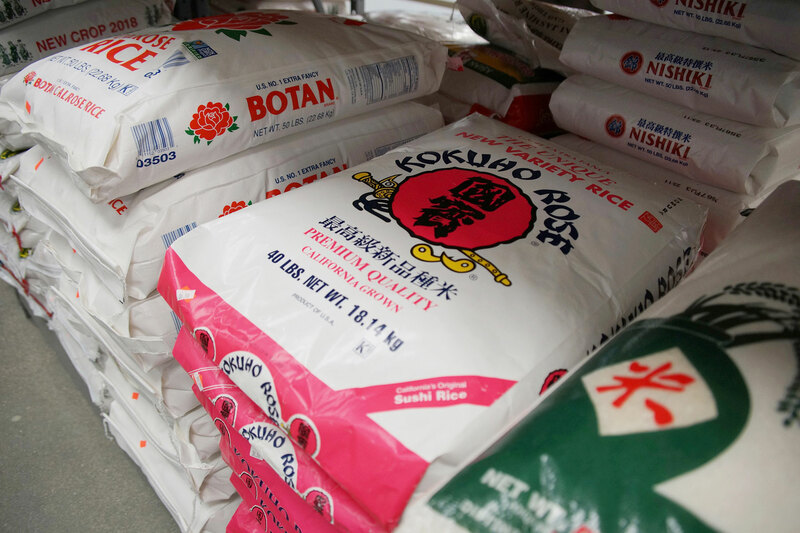 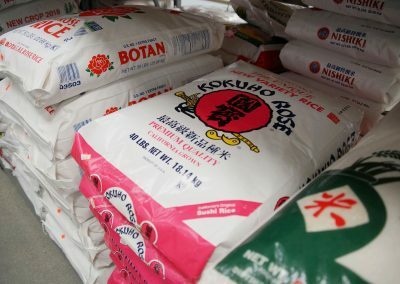 Alderman Robert Bauman said that the growing diversity of Milwaukee is reflected in the need for a new Asian market. 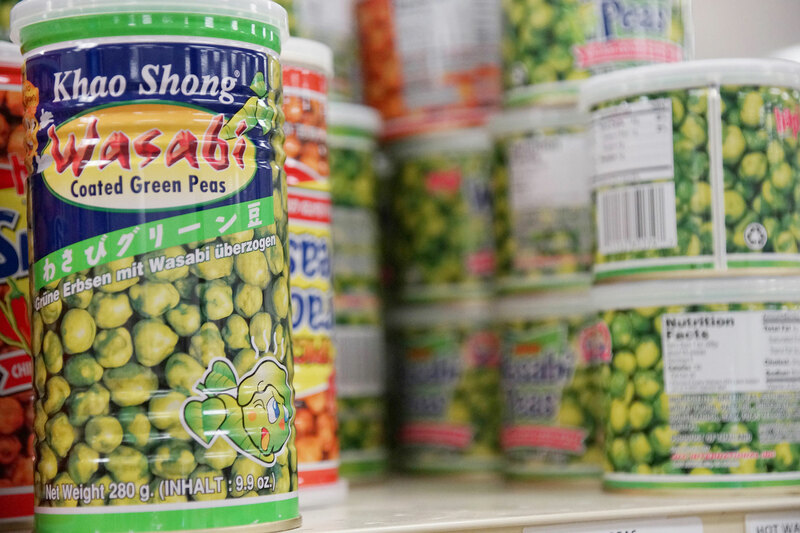 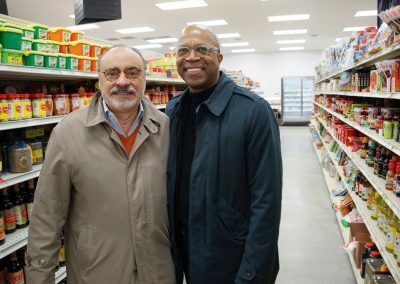 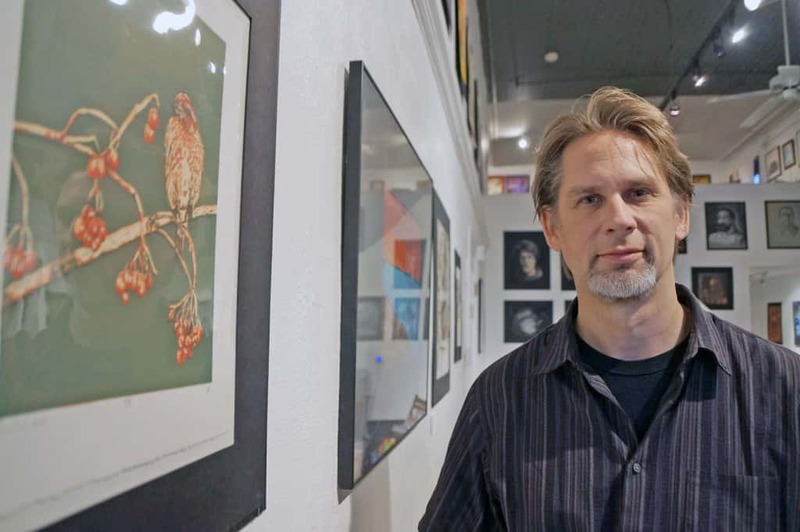 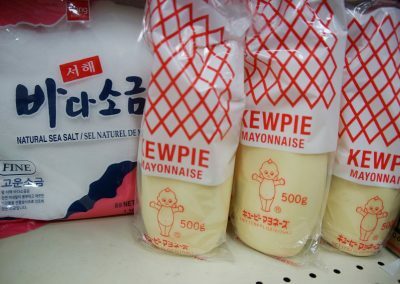 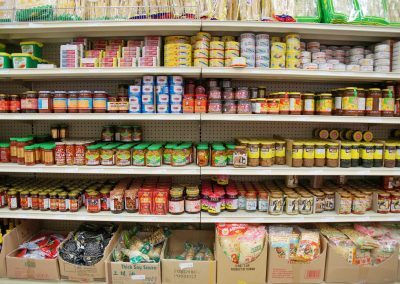 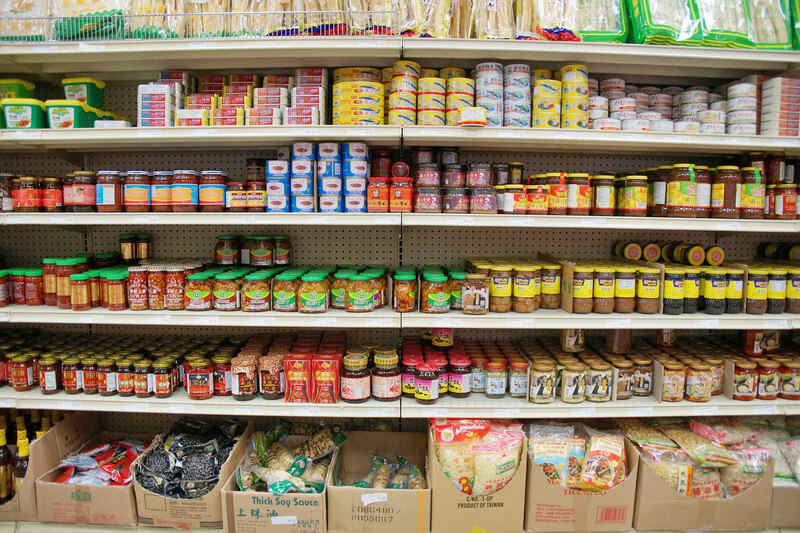 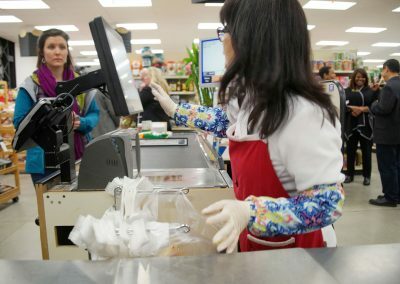 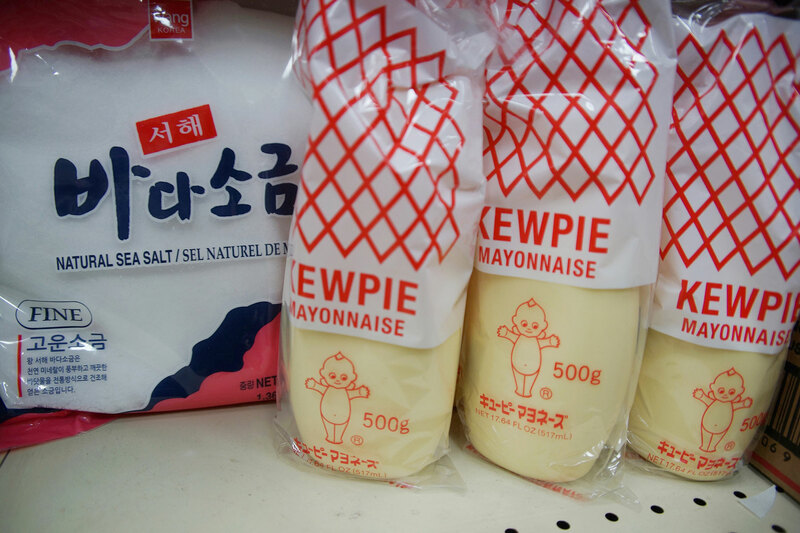 “Traditionally in Milwaukee there have been Polish grocery stores, German grocery stores, Eastern European grocery stores, and Italian specialty stores. 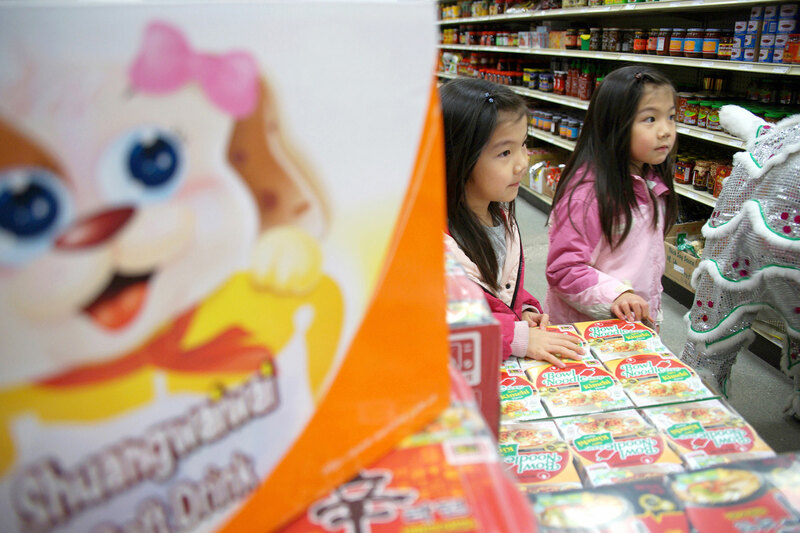 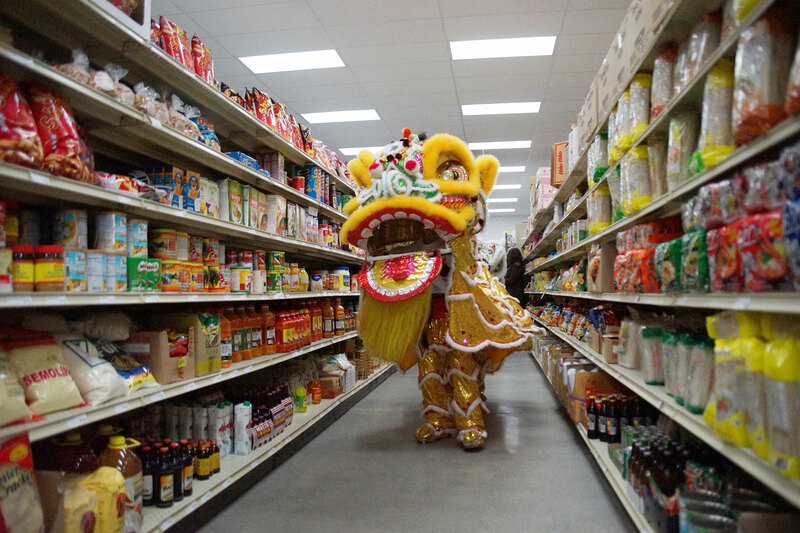 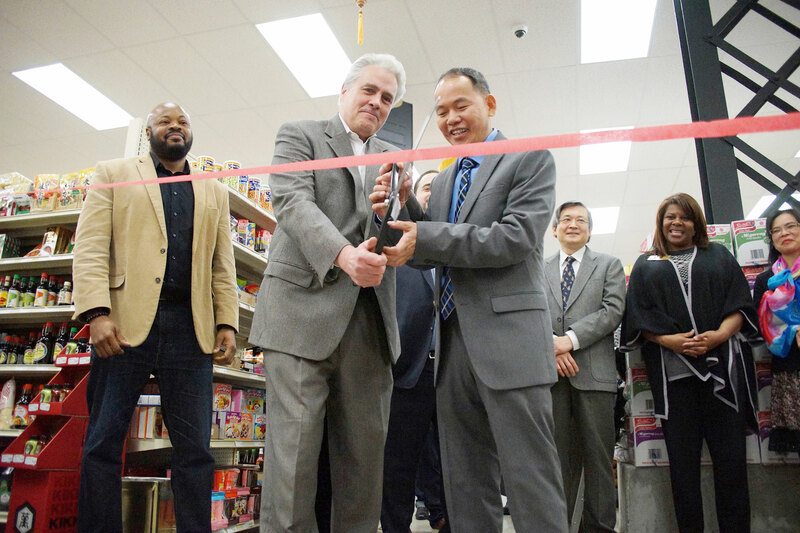 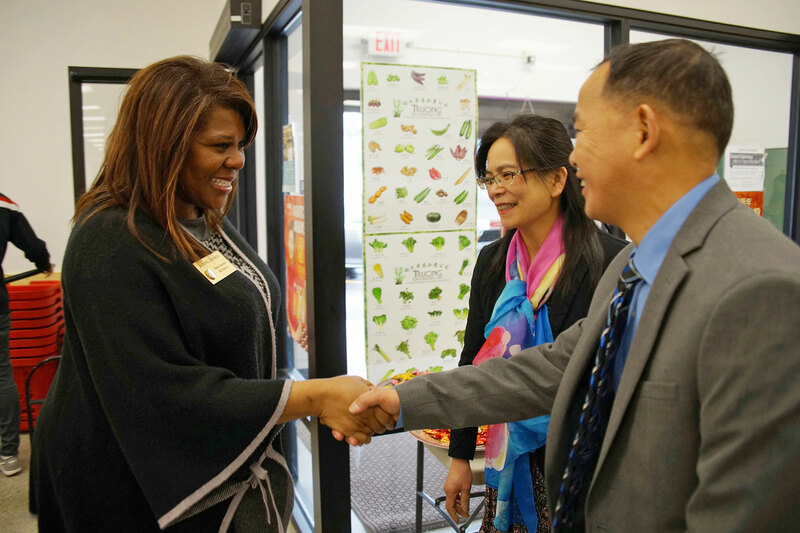 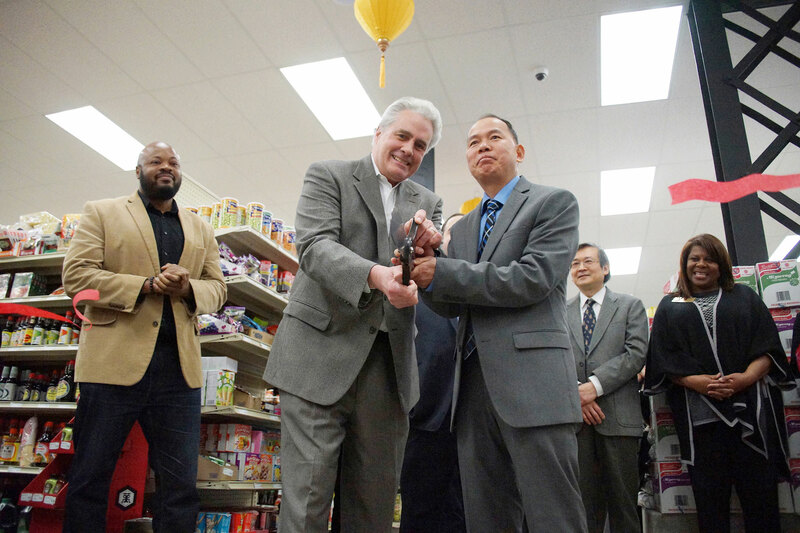 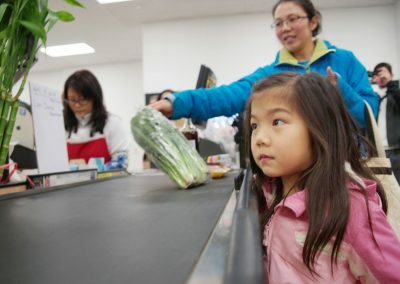 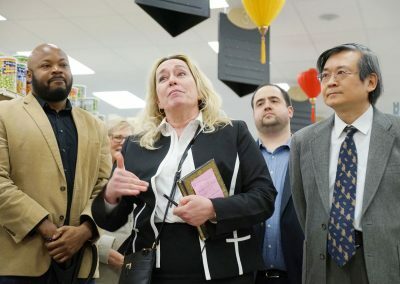 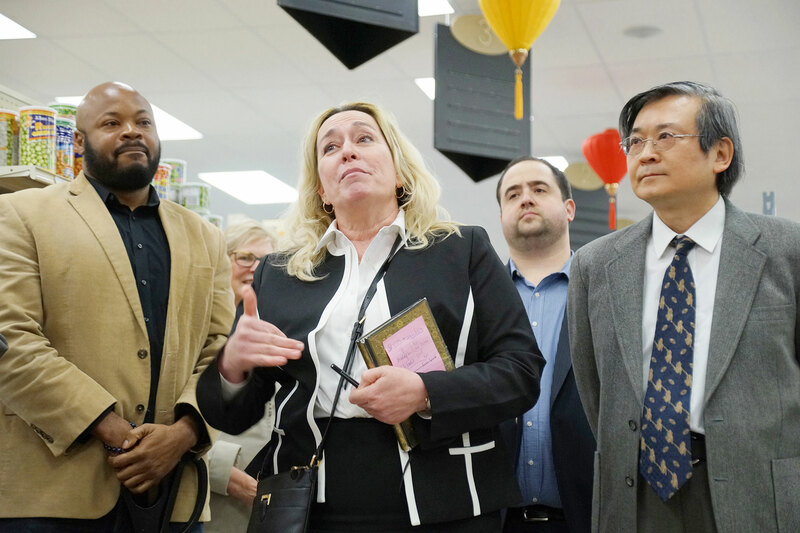 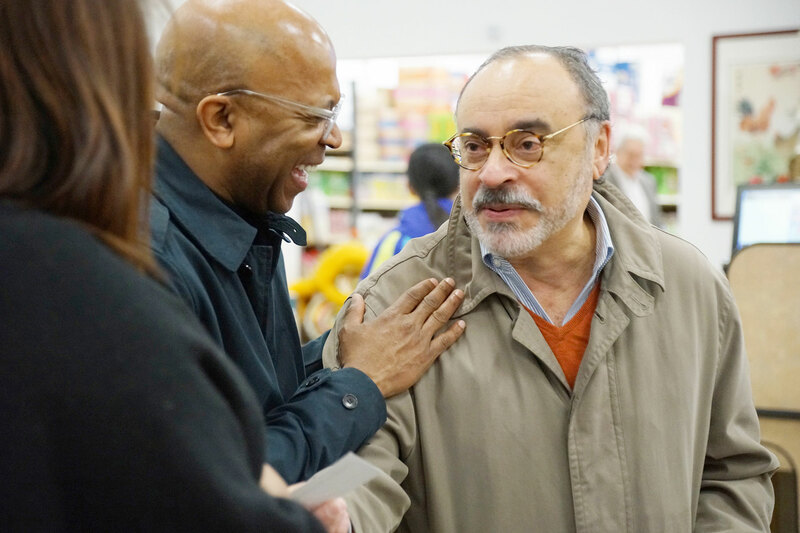 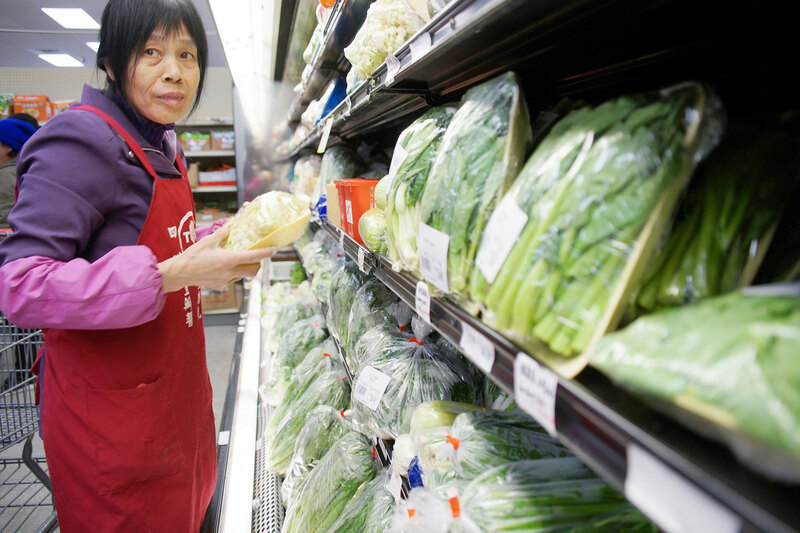 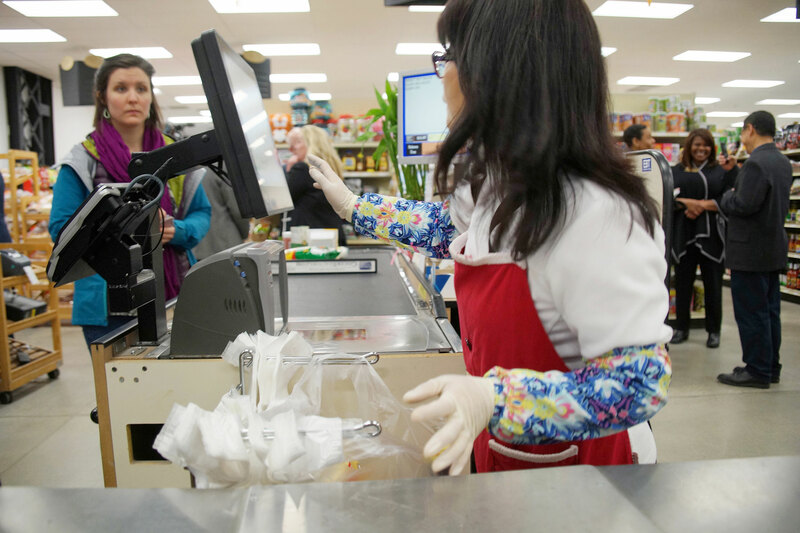 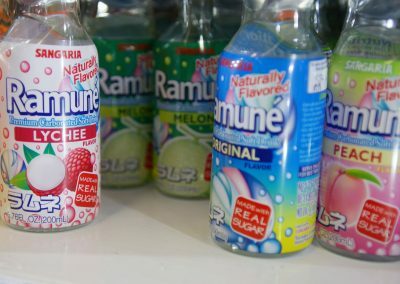 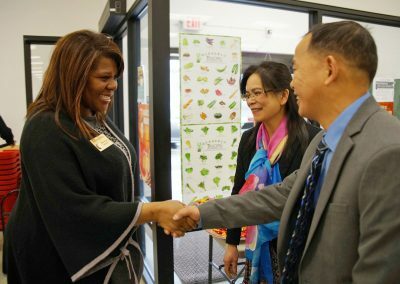 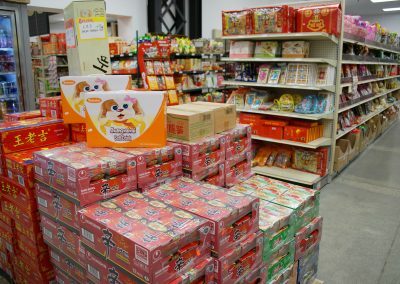 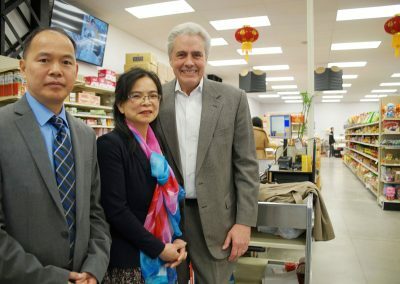 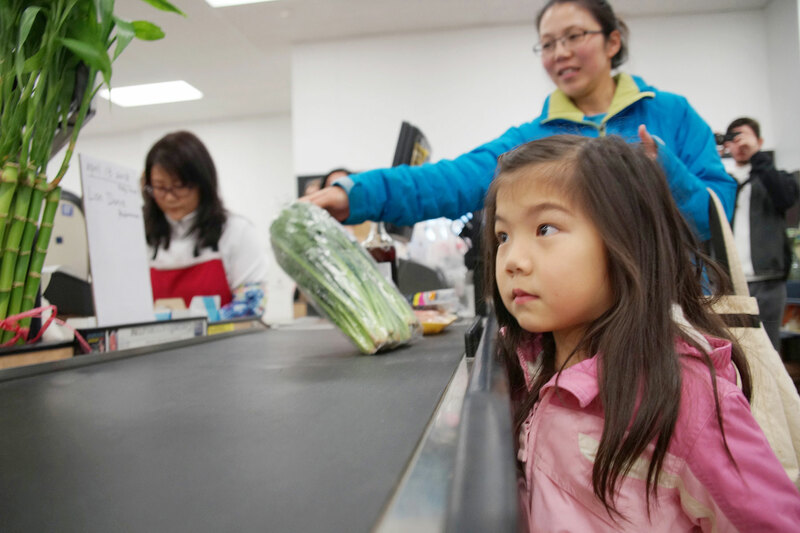 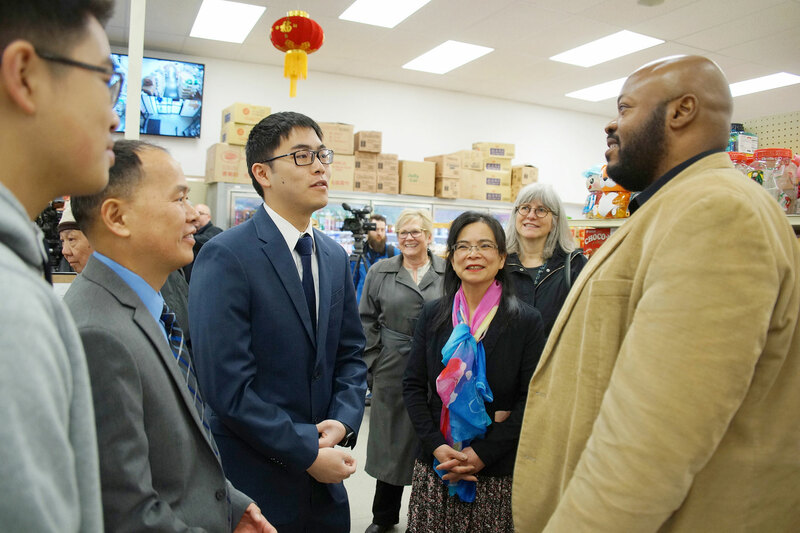 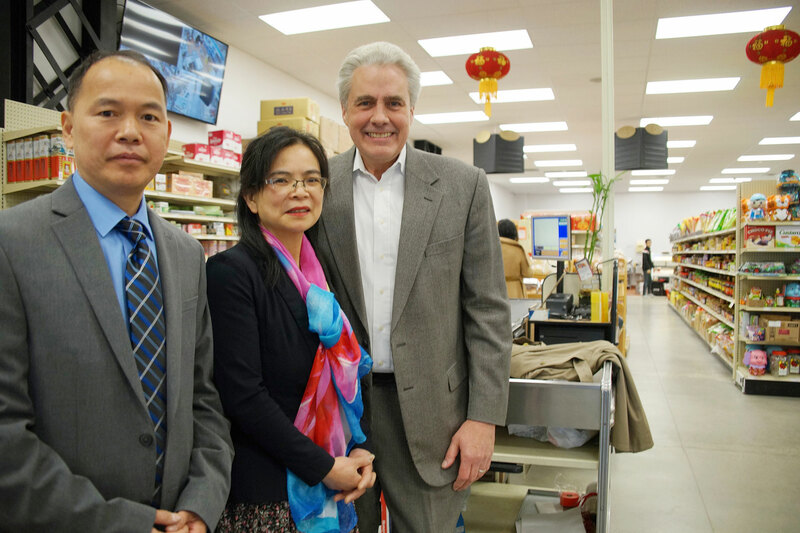 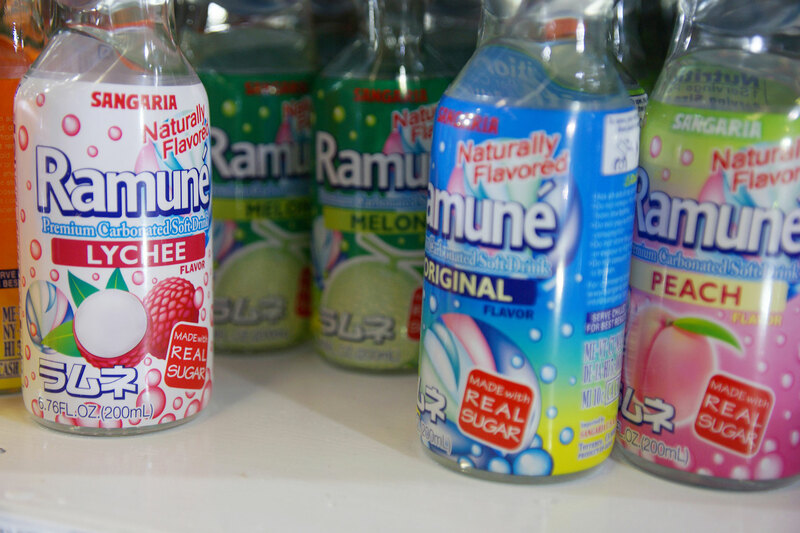 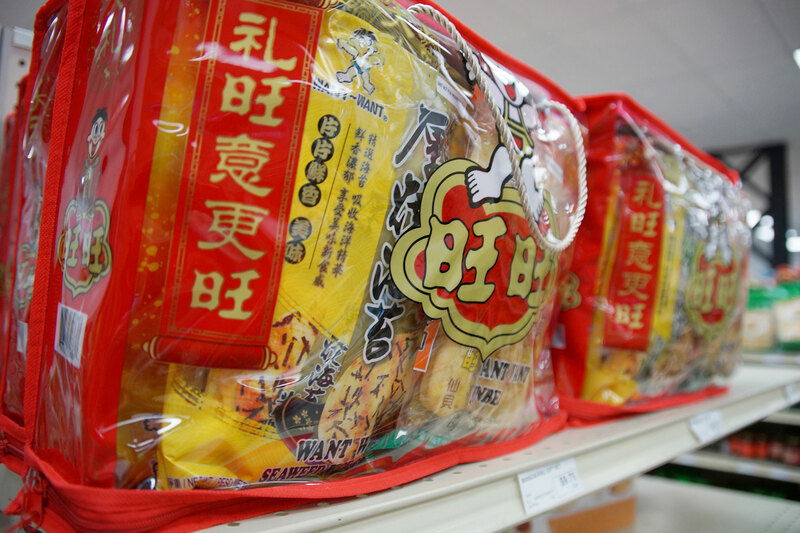 Now we have Chinese specialty stores to service that community,” said Bauman. 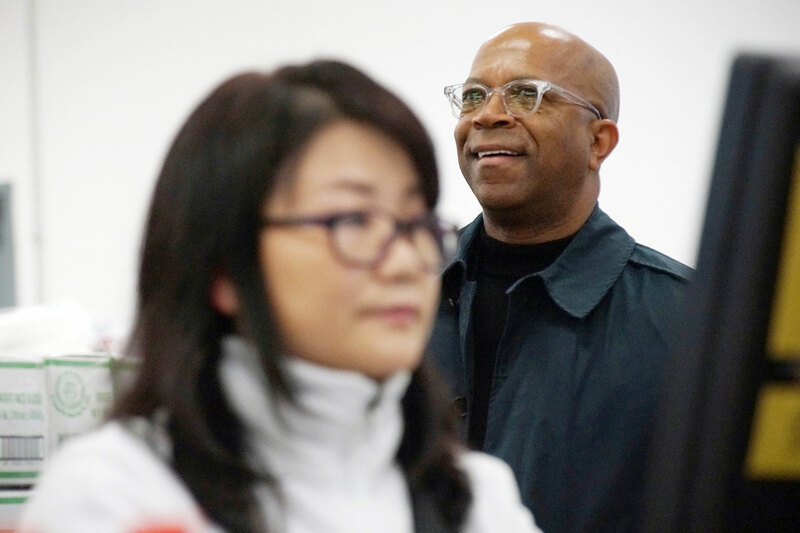 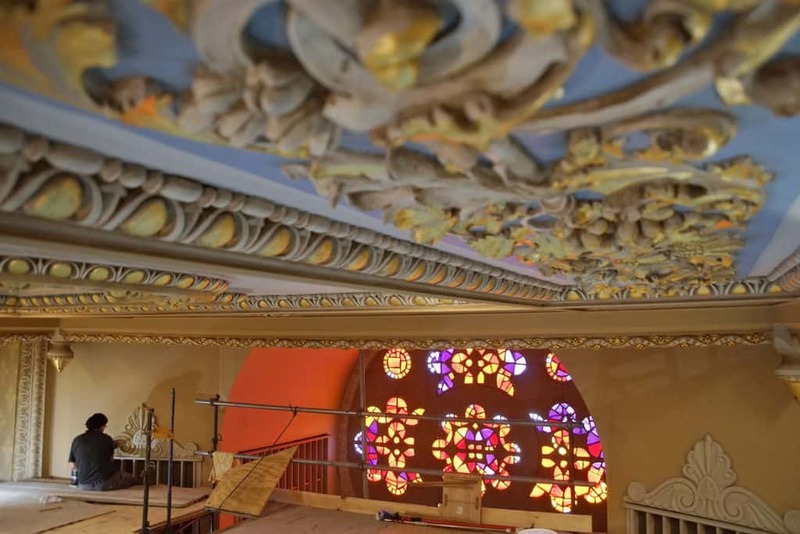 Barry C. Yang, project architect with Zimmerman Architectural Studios explained that the building was currently divided into three parts. 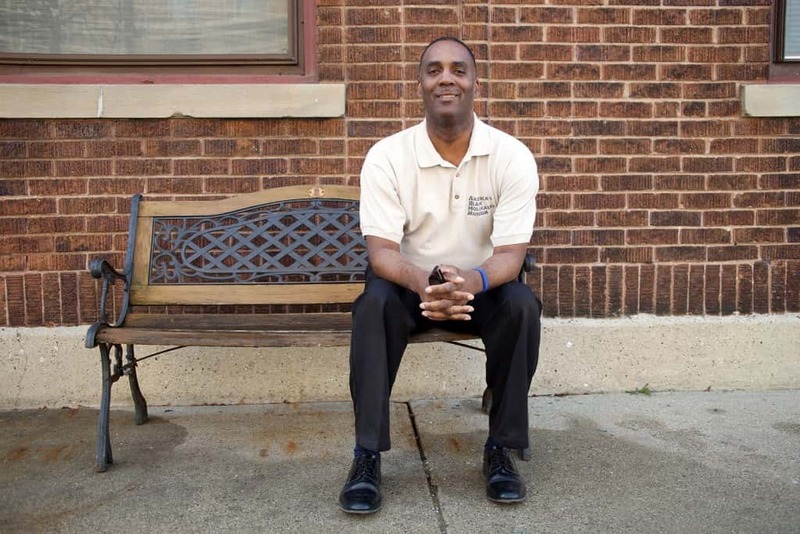 The first section closest to Clybourn Street was set aside for the future development of a restaurant. 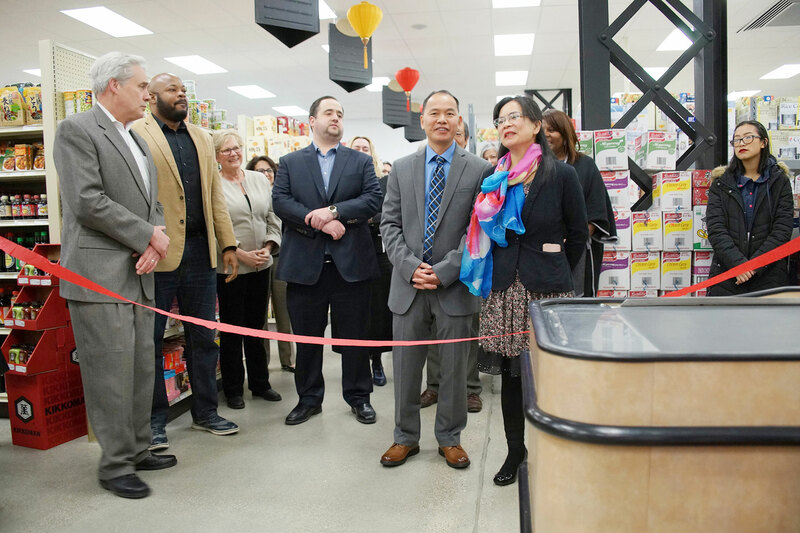 The middle part was being used for consumer shopping, and the third section had 3,700 square-feet of storage. 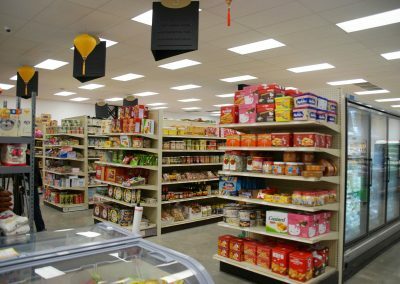 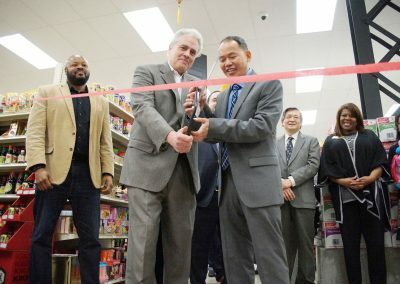 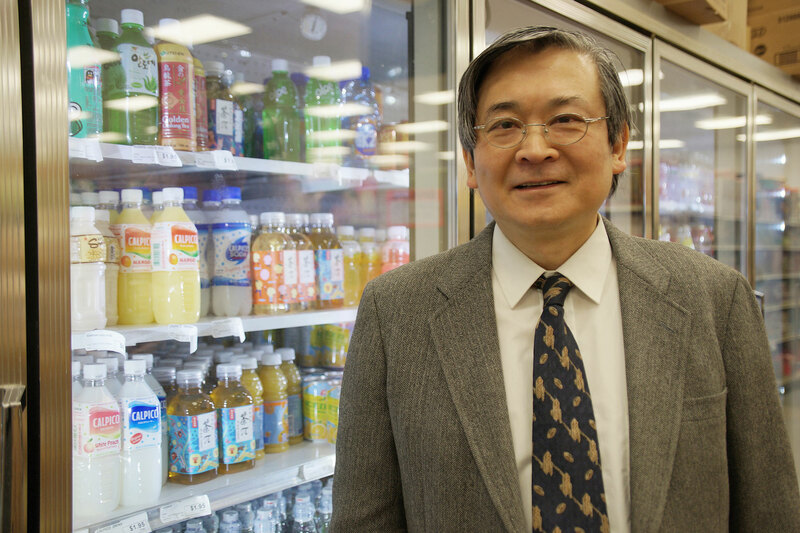 Yang moved to Milwaukee from Taiwan in 1992, and his idea for the grocery store’s design was to make its architecture secondary. 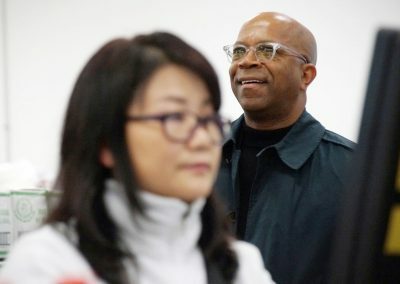 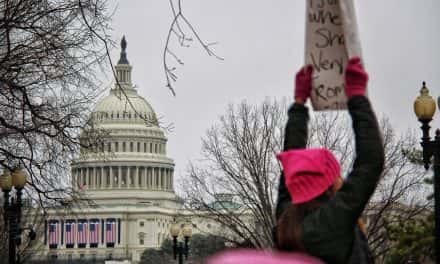 In February, Taiwan tech giant Foxconn purchased the building at 611 E. Wisconsin Avenue to eventually set up its North American headquarters. 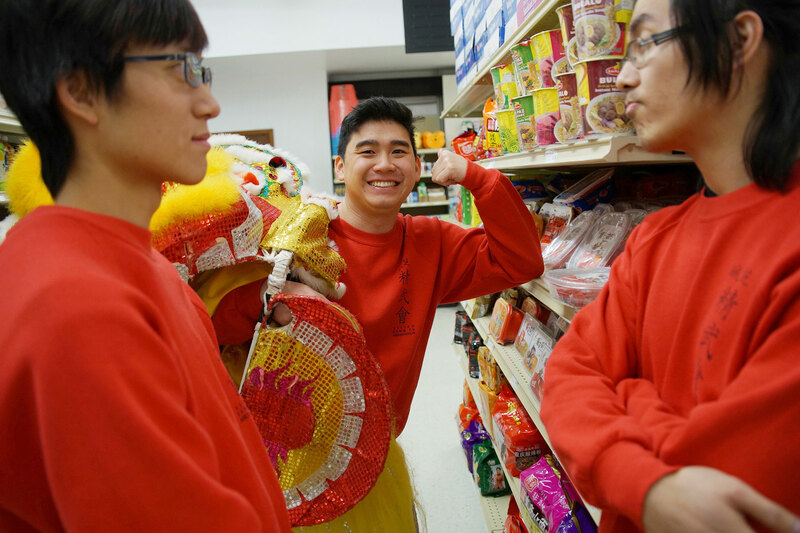 Mo’s will be in a convenient position, at just over two miles away, to support Chinese workers looking for products from home.